Cadillac owners are proud to drive an American made luxury car, which is why you can’t take it to just any old auto repair shop. The auto mechanics at Antero Automotive & Truck Services in the Denver Tech Center are highly trained and will always put the care and safety of our customers above all else. 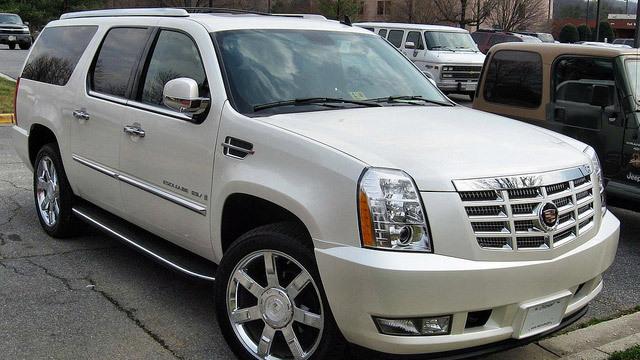 When you want the best for your cherished Cadillac, Antero Automotive & Truck Services will deliver nothing less. According to Autotrader, the Cadillac still stands toe-to-toe in performance, driving experience, and tech features with the world’s finest. Your Cadillac is a status symbol of your success and exquisite tastes. Don’t leave its care up to sub-par shops when you can take the ASE-Certified and Master-Certified auto technicians at Antero Automotive & Truck Services. Since 2008, we have been the trusted source for Cadillac service for the communities of Denver, Greenwood Village, Englewood, Parker, and Aurora. “Antero Automotive is awesome!! My car had a bent axle and the suspension needed to be fixed from hitting a curb due to ice. They thoroughly took care of these items and also fixed all of the other issues that I was having from the car. I highly recommend to bring your car to Antero Automotive and ask for Andy!” -- Christen O. If you are a proud owner of a Cadillac and are looking for a shop with the honesty, expertise, and professionalism you expect and deserve, consider Antero Automotive & Truck Services. Schedule an appointment for maintenance or service on your Cadillac today, or stop at 6615 S. Dayton Street, Greenwood Village, CO, 80111.